Just a day after Vipers league winning captain Nicholas Wadada joined Tanzanian side Azam FC on a one year deal, the Venoms have already made efforts to bolster their defence. It is understood from reliable sources that Mulondo, commonly known as ‘C4’ has signed a two and ahalf year deal with the Venoms. Mulondo moves on a free after his contract with Kirinya expired at the end of last season. Livinstone Mulondo (right) saw out his contract with Kirinya. 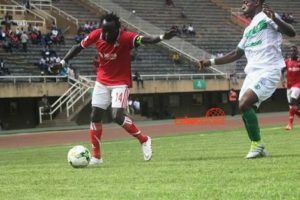 He becomes the second defender to join the reigning champions after they also acquired the services of former Lweza and SC Villa rock Ibrahim Kiyemba. 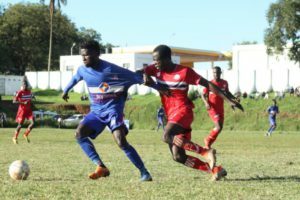 Mulondo was integral to Kirinya’s record league high finish last season which saw them concede a seventh lowest of 27 goals on their way to a fifth place finish. The centre back has been training with Vipers ahead of their CECAFA club tournament and was part of the club’s friendly match against Mawokota on Sunday. He becomes Vipers’ 4th signing after Rahmat Senfuka, Ibrahim Kiyemba and goalkeeper Bashir Ssekagya have all put pen to paper. 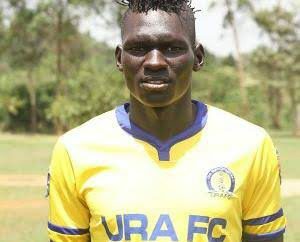 In a similar development, the Venoms are understood to be in advanced talks with URA FC, 20 year old right-back Fred Okot over a possible move to the St. Marys stadium. The Venoms have reportedly tabled a two year deal for the Hippos defender and hope to close the deal later this week. If the chase for Okot is successful, Vipers would have found a long term replacement for the departed Wadada. He brings youth, energy and tenacity to a side that had lacked the later for a few seasons now. The high flying wing back has previously featured for Kireka United and Lweza FC before joining URA FC at the start of the 2016-17 season. 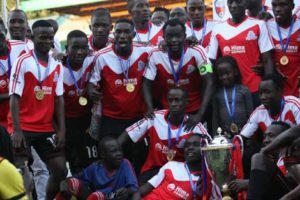 Once the deal is sealed, Okot’s immediate assignment will be the forthcoming CECAFA Club cup in Tanzania where Vipers is pitted against Azam FC, Kator FC and JKU. Still with the league champions, they will conduct a trophy tour on Wednesday around Kampala and Entebbe. The Venoms dethroned KCCA after accumulating 65 points to win their second league title. The parade, which kicks off at 10 AM, will start from Kololo airstrip and head towards Nakasero to the club’s sponsors DFCU Bank and Hima Cement main offices. From there, the convoy will head to Wandegeya, Kampala Road, City Square and then to their famous Entebbe Road. On Entebbe road, fans will have a chance to view the trophy closely at Katwe, Zzana, Kajjansi, Abayita Ababiri, Kawuku before they conclude the tour at Roofing Group Limited, the club’s third sponsors.